الخيار الأفضل للحصول على المتعة والاسترخاء, Noosa Place Resort يقع في منطقة Noosaville في صن شاين كوست. لا يبعد الفندق كثيراً عن مركز المدينة، فهو يقع على بعد منها. في حين يستغرق الطريق منها إلى المطار حوالي دقيقة. 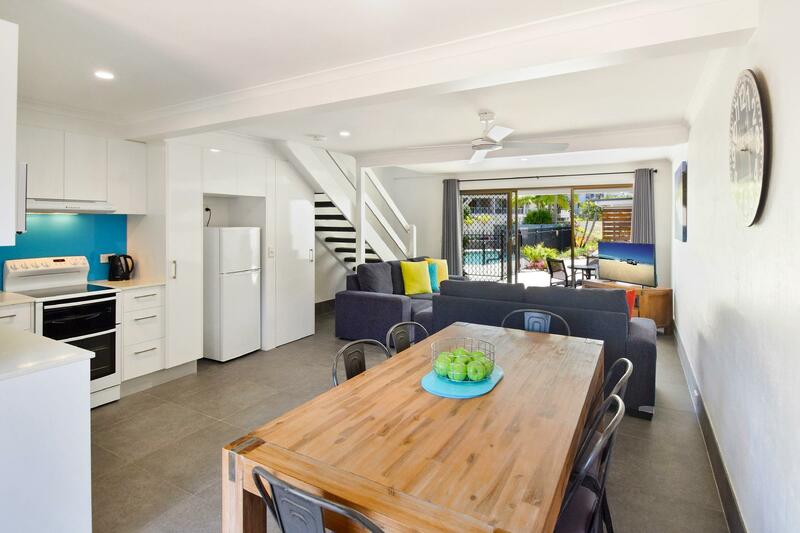 إن سهولة الوصول من الفندق إلى المعالم السياحية الشهيرة الكثيرة في المدينة كمثل Noosa River Holiday Park, Nancy Cato Park, Noosa Village Shopping Center هو استثنائي بحد ذاته. إن Noosa Place Resort حريص على توفير الراحة للنزلاء، فلا يوفر الموظفون جهداً في تقديم أفضل الخدمات وضمان حسن الاستقبال. يقدم الفندق فرصة للاستمتاع بشريحة واسعة من الخدمات بما فيها: واي فاي مجاني في جميع الغرف, تسجيل وصول/خروج سريع, تخزين الأمتعة, واي فاي في المناطق العامة, صف السيارات . في الفندق غرف نوم يتجاوز عددها 40، كلها مجهزة بعناية وجمال وبعضها مزود بـ شاي مجاني, مناشف, قهوة فورية مجانية, غرفة معيشة منفصلة, تلفزيون بشاشة مسطحة. يقدم الفندق مجموعة واسعة من وسائل الراحة المتنوعة، كمثل: حوض استحمام ساخن, مسار جولف - ضمن 3 كم, حمام سباحة خارجي, سبا, ملعب تنس. اكتشف مزيجاً ساحراً من الخدمة الاحترافية والخيارات الواسعة من وسائل الراحة والمتعة في Noosa Place Resort. 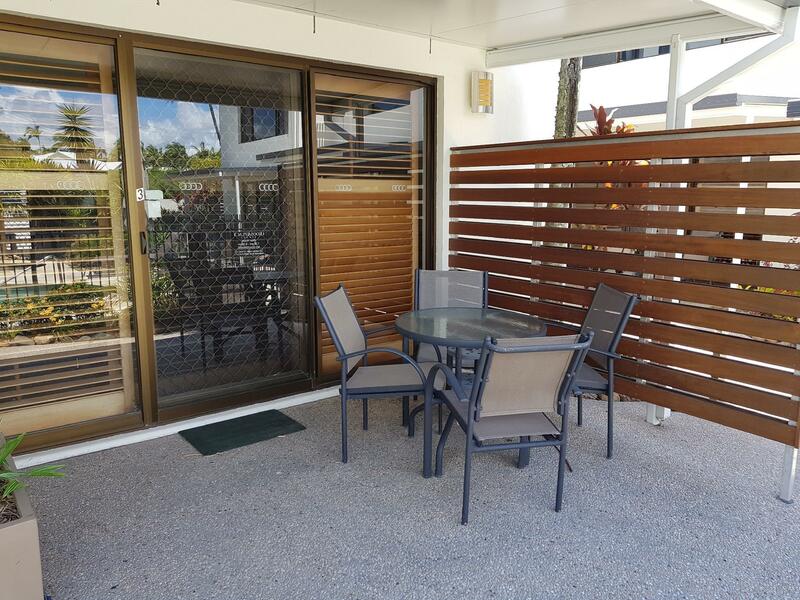 The perfect unit, located within walking distance to the river. 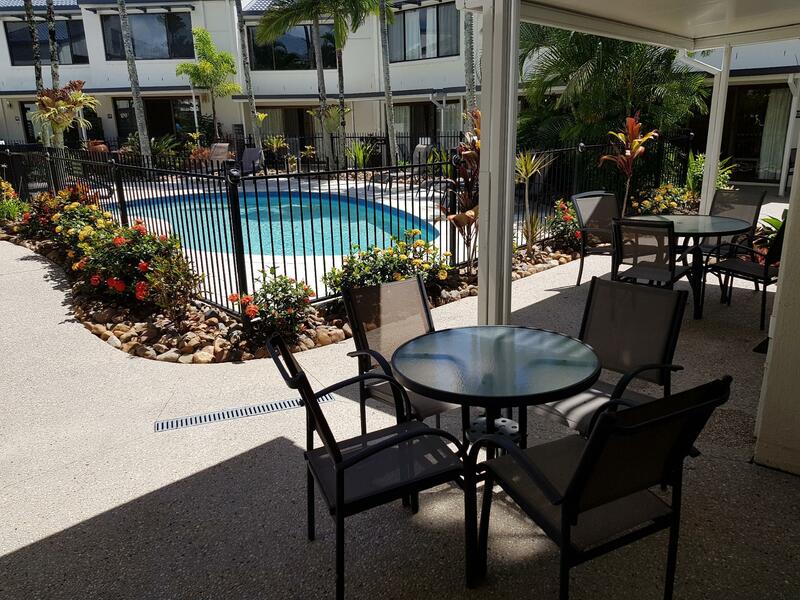 Pool facilities were great And the unit had everything you could need. This is great value for money. Great pool and spa. The apartments are clean. They are all individually owned and need some maintenance but the cleaners do a great job. The only toilet is up a set of stairs so people with mobility issues might struggle but for us it’s fine. Great location 30 second walk to the river. 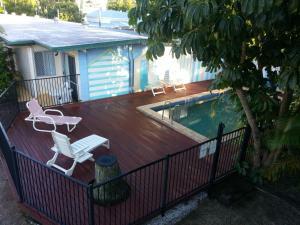 We had a great 5 nights here with pool and spa right outside our door as well as a perfect location. We found our little townhouse perfect for my family of four very clean with everything we needed. The only downfall for my husband and I was the bed in our room was so hard that we found it very difficult to sleep on. The managers are extremely helpful and friendly. Excellent staff service at reception, very helpful. Very well equipped kitchen . Only problem we have was that the washing machine was very dated and detergent holder in the machine have dried detergent clogging in it. Overall condition was good. Swimming pool was too small and could only accommodate small group. We were made to feel very welcome here, with good advance email info. about key collection as we arrived late on the first night. The apartment was excellent, larger than we expected with a great kitchen, super comfy leather sofas and large flat screen tv with all the channels you need. Bedrooms were comfortable and the bathroom had a walk in shower. The washer/dryer was a bonus. We found 3 pools around the complex, and it was only 2 minutes walk from the river and some great cafes and restaurants for breakfast/meal options. We liked the place, it is in a good location but not too noisy either. The place was small but comfortable. Tastefully and Nicely furnished. They could add a few bits like cooking oil, salt n pepper, spices, paper towels etc. I couldn't find a dust pan and brush in the place. The pool was not quite as "heated" as I was hoping. The "outdoor area" was not closed off, so that was a bit stressful when u have a toddler. He kept running off . Without a balcony, and the place being very small,!I did end up feeling a bit claustrophobic in that regards. It was fantastic to find a bucket and spade in the book drawers though. All in all, I enjoyed my stay there. We booked this place for a family of 4 and boy it was a Huge Apartment!. It is a short walk from the shops and restaurants and we loved its location as it is very quiet and def a place where you can relax and have a good night's sleep! 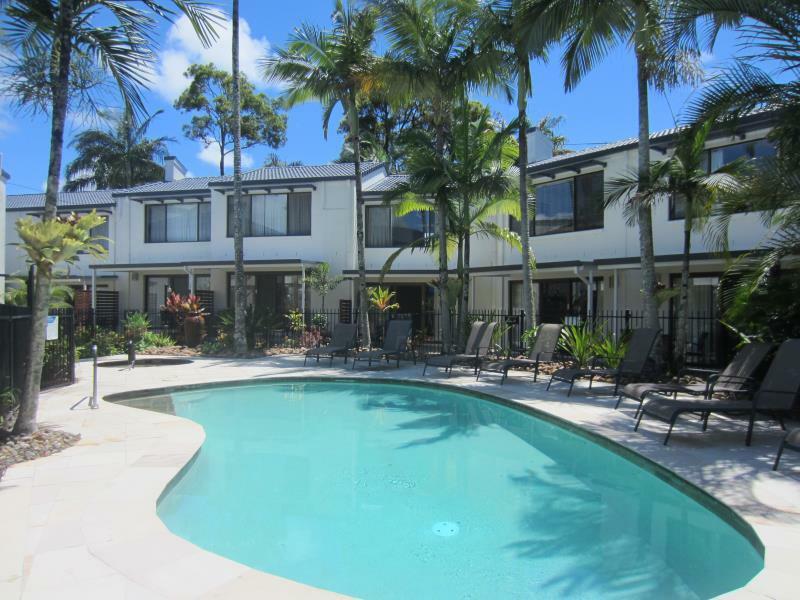 Will defintiely return when Im heading to Noosa in a few months! Great location. Fabulous for children. Plenty of things to do in the area with children. Clean and comfortable accommodation. Very central and close to everything. Staff were friendly and helpful. Place is clean and functional. A little bit older but nothing to complain about. Was just a bit noisy having a young family especially on the weekend when people want to enjoy themselves. Second time here in 2 years and wow the place looks great. We needed abut more wifi for some work stuff I needed and it was uploaded with no trouble. Our two-bedroom townhouse was clean and spacious. Complex is just off the river and close to all restaurants. 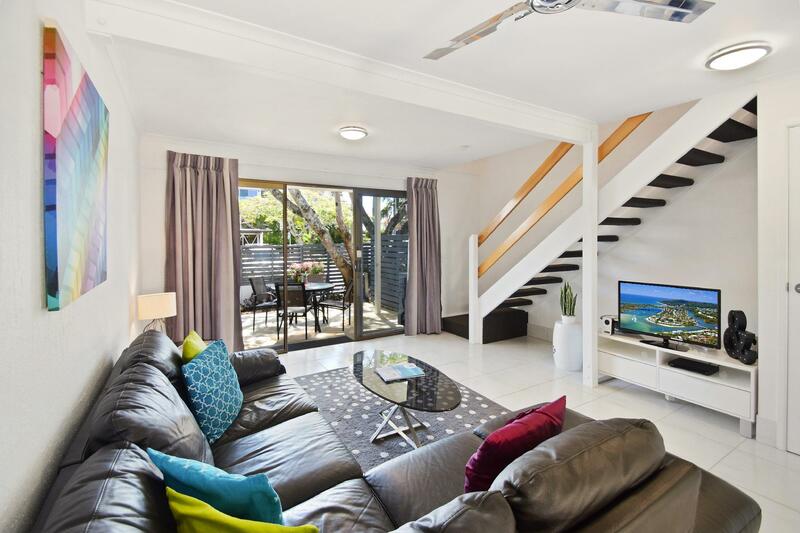 Within walking distance of everything in Noosaville. 5 minutes or so drive from Hastings Street. Ideal for families. 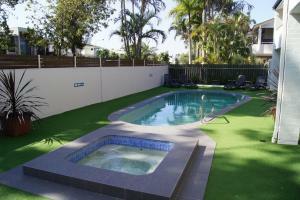 Kids would be well entertained with tennis or swimming pools. There is a bbq area onsite but there is a fish and chips outlet around the corner if you don't want to cook but have kids to feed. Very quiet, surprisingly, given that the facility is on a busy road. We would definitely stay there again. The apartment was clean and tidy, and the location close to everything. Excellent place to stay with kids. Very family friendly and the staff were amazing. first class accommodation with a relaxing atmosphere close to everything. We loved it. The spa was nice and warm and the foxtel movies were a bonus.